Welcome to The Kalbarri Tudor Holiday Park, your ideal holiday destination in Kalbarri, Western Australia. We cater for all budgets! 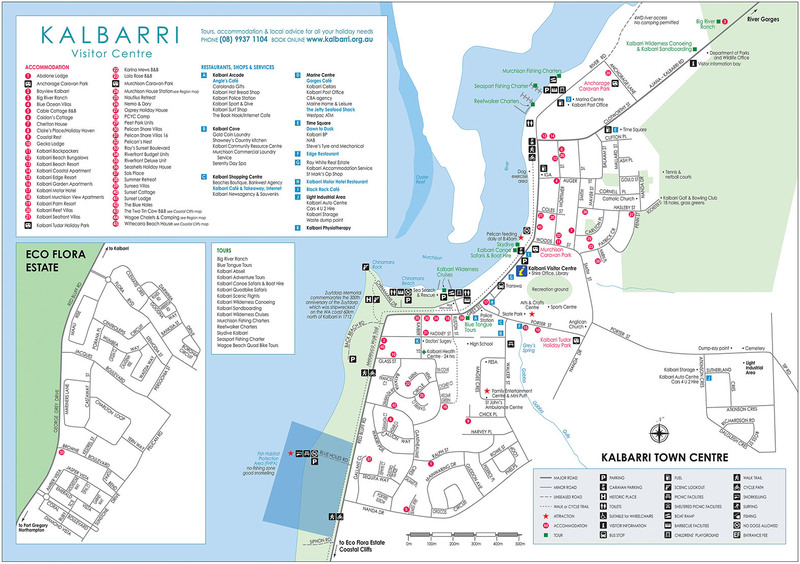 Kalbarri Tudor provides the perfect accommodation choice, just a short 3 minute walk to the centre of town. Once here you’ll not only find eateries, a pub and the tavern but also the local beach where you can swim, snorkel and fish. The much awaited Kalbarri Skywalk is under construction and will be open for visitors mid 2019. Book our premium accommodation, ranging from our shady, lush green Ensuite Sites perfect for general camping, or stay in our 2 Bedroom Deluxe Villas, one of our Pool Villas, or our Motel Units. Full park facilities are provided for your stay, and all accommodation requests can be submitted online. Our park promotes a relaxed and friendly atmosphere. If your’re heading north after your stay with us, why not visit our friends at People’s Park. They are located in the town of Coral Bay which is in the World Heritage Ningaloo Reef. Grassed and / or shady sites to choose from, as well as some sites including hard stand with shade cloth on ground. Maximum size for a Large RV sites (30-50 ft). Close to facilities and brand new full bathrooms to share. Our Pioneer section offers large powered sites for Caravans, Motor Homes, Tents and Camper Trailers. These large, spacious sites are ideal for families or couples wanting to enjoy the fun of Kalbarri. Grassed and / or shady sites to choose from, as well as some sites including hard stand with shade cloth on ground. Maximum size of a Large RV sites (30-50 ft). Close to facilities and brand new full bathrooms to share. There are two TVs, one in the lounge and the other in the main bedroom. These villas have air/con, hotplates, microwave, fridge, crockery and cutlery. This accommodation style also has an outdoor sitting area, as well as nearby access to the Pool area. The cabin contains crockery, cutlery, fridge, hotplate, microwave, TV and air/con. There is also a shared area to sit outside and enjoy the surroundings. Our Deluxe cabins are fully self contained. Each living area offers reverse cycle air-conditioning, fresh water facilities throughout, beautiful decor, bathroom, linen, TV, DVD player and an outdoor area for seating. These villas have air/con TV hotplates, microwave, fridge, crockery and cutlery. They also have an outdoor sitting area.